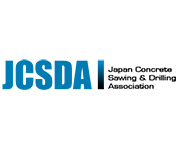 The International Association of Concrete Drillers & Sawers is preparing the IACDS Yearbook 2019, an extensive document with information about the Diamond Award (the shortlisted companies, the judges and the advertising of the sponsors), as well as summarizing the novelties of the association in the last year and also gives more visibility to the industry, the National Associations and our suppliers. 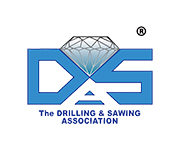 The publication is based on the one made in 2016, that included all the contestants taking part on the Diamond Award, the international competition coordinated by IACDS, in partnership with all the National Associations. The IACDS Yearbook will be presented in digital format, with 80 pages, and A4 size. The associations and companies may participate sending informative and instructive texts about their activities, projects, products, experiences, … which show the experience and the knowledge in this area. This publication will be possible thanks to our sponsors PENTRUDER, TYROLIT, HILTI, HUSQVARNA, LISSMAC, BRAUN and BROKK. The sponsorship options, which are still available to companies, include advertisement in the publication, editorial coverage and visibility on yearbook website.